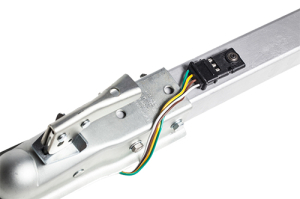 HIL offers the only complete solution for the protection of the trailer wire harness, is entirely unique, patent pending, with quality secured and reliable product sourcing. 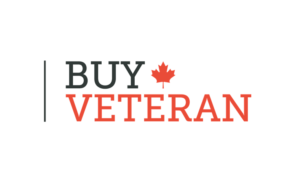 The product has been rigorously tested, and meets all standards, and is specified into government military trailer vehicle contracts; making it an ideal solution for all trailer manufacturers to include as a value added product on their trailer offerings. 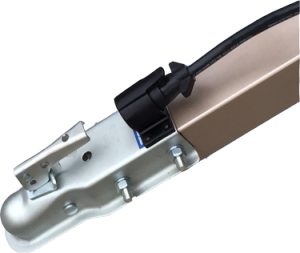 The Connect-to-Protect product ensures that the vital lighting and safety braking systems will work when the end user needs to use their trailer for business or pleasure activities. Your trailer will be ready every time you want to use it! 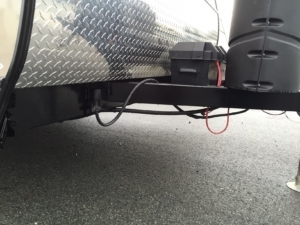 There is a Connect-to-Protect product available for all trailer wire configurations: 2 Pin, 4 Pin, 5 Pin, 6 Pin, and 7 Pin models. Utility, Boat, RVs, Sport Trailers, Cargo, Commercial, Livestock trailers. Simple! Comes with all installation hardware and instructions. We received the 7-pin model as a gift, so we decided to try it out. Installation was simple and straight-forward, all you need is a drill, a 1/8″ drill bit and a phillips screwdriver. 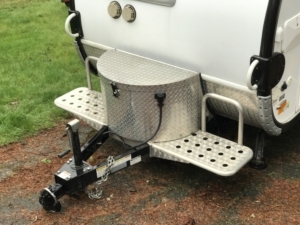 The unit does what it claims to do and is a worthwhile accessory for any type of trailer. We bought a trailer in the summer and were given the Connect-to-Protect by our awesome neighbor. 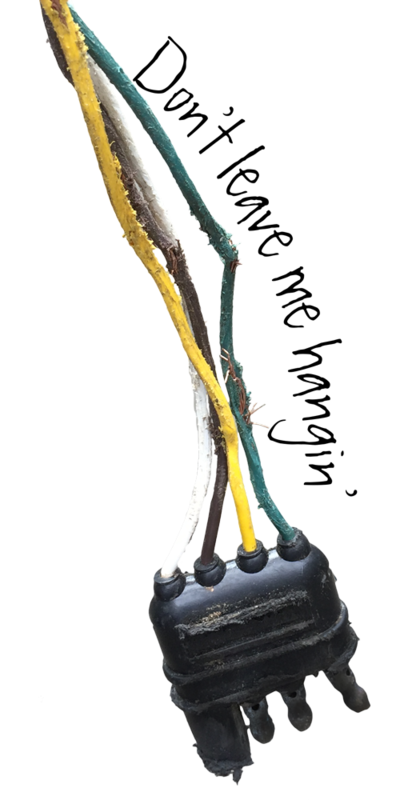 We had recently camped with friends and noticed how badly their plug and cable had been damaged by being dragged on the ground and what not so when we were introduced to the Connect-to-Protect, we were very excited! Install was very easy and we are happy extremely happy with the product. In our opinion, this product is a necessity and we have and will continue to recommend it to all trailer owners! Put on both of my trailers works well and keeps the contacts dry. Very durable rubber and easy to install. After a particularly wet winter on the west coast, my RV’s electrical connection was left corroded beyond repair. 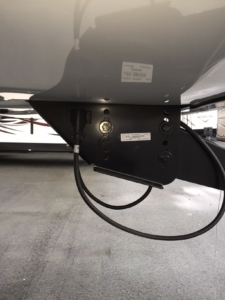 To alivate this problem, a friend suggested that I install the CONNECT-to-PROTECT, I did, and since I’ve installed the 7-pin protector on my RV; the electrical plug is always clean and dry. The product was simple to install and it performs exactly as advertised. I loaned out my trailer and the wiring got caught around the 3rd wheel. What a mess and costly. This device was so inexpensive and easy to install. No more issues. I highly recommend it. Highly recommended – I wish I had this device years ago. No more issues with the wiring getting caught up. Brilliant piece of kit and easy to install. Took me 5 minutes to install on my Travel Trailer. I will be installing one on my work Trailer as well. What a great solution for a problem every owner of a trailer has faced! I love my connector and no longer worry about my plug getting weathered and worn! Fascinating product! Such a simple, yet elegant solution to an age old problem. Well worth the investment for neat, clean wiring storage. Finishes off the look of the trailer while parked. Nicely done. I plan on getting several more for friends as a gift. Fantastic product. It has saved the wiring harnesses and saved me money from the usual damage that occurs from the plugs just hanging off the trailer toungue. What a great idea, no more going to hook up a trailer only to find the electrical plug damaged. 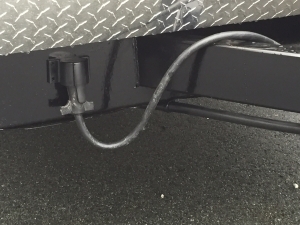 When done with your trailer unplug from your vehicle and plug into this device and all safe until next needed. I mounted mine just off center under the lip of the body on the first metal frame cross-member. It’s a little out of the way but will keep it under the RV cover in the winter and gives me a drip-loop on the trailer. It was a nice surprise to open the bag of screws and see they definitely up to the task of tapping themselves into a steel frame. – and all that time it will be doing exactly what it’s made to do. Just installed on my boat trailer. It’s perfect ! Super easy installation was a plus, now I can launch my boat and disconnect the plug to prevent shorting out the plug when it comes on contact with the water. i would recommend it to anyone. No more burntout signals or tailights Great product! Great idea. Picked up the 7 pin for my fifth wheel trailer. I usually just drop the cable down the goose neck, but found there was rust building up in the neck due to rain water and condensation forming at the bottom.. 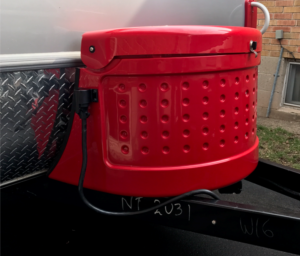 I have mounted it on the side of the trailer neck and it is in a great easy accessible area and the plug has no chance of damage. Well done on the designers of Connect-to-Protect. This is my second one as we bought a new trailer. Fantastic accessory. Cannot imagine having a trailer without it! I had a hard time finding the 7 pin version, but Camping World had to bring it in from another location. The instillation was simple and the flexible (rubber like) material should last a long time. Iam now looking for the 4 pin for my cattle trailer. Putting these on all your trailers is a no brainer. I wish that I had found these earlier. Was alerted to this product via a friend and opted to try it out for my boat trailer. Installation, as has been said numerous times in the reviews, was easy to understand and completed in no time. Highly recommend it and have recommended it my friends. Great product! Got a 7 pin for my Fifth Wheel and was impressed and easy is to install. I will get an other one for my utility trailer. Great product and highly recommend for use!